MIAMI (CNS) — The year 2014 has seen jaw-dropping news of banks, businesses and governments reporting organized cyberattacks and breached data networks compromising millions of private data files, financial accounts and consumer information. In late November, Sony Pictures Entertainment was hacked, reportedly by North Korea, and valuable data related to upcoming movies and employees’ pay stolen and made public. Compromised were five unreleased movies, some 7,000 global employees’ paychecks and medical records, and other confidential data, according to Sony. 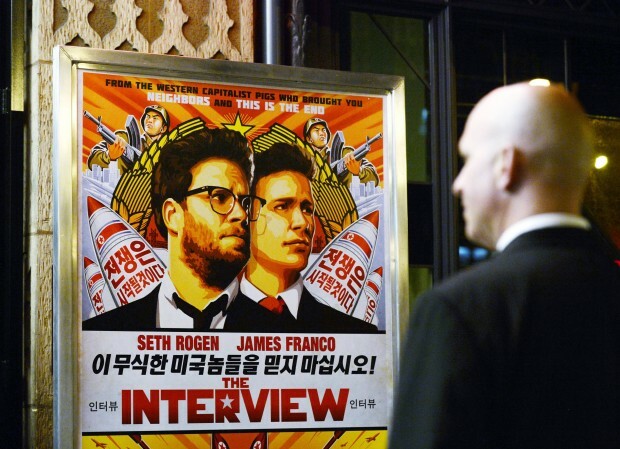 There also were threats of terror attacks against U.S. movie theaters prompting Sony to cancel the Christmas Day release of its comedy about a plot to assassinate North Korea’s leader. As the public and private sector gear up to meet the coming challenges of protecting the integrity of operating in the digital era, Catholic universities and many other institutions of higher education around the U.S. are responding to demand for adequately-trained personnel to enter the world of cybersecurity-related jobs. According to employment statistics, jobs in cybersecurity offer well-paying career opportunities with demand far outpacing the number of qualified candidates nationwide. “The problem with cybersecurity is that it is not just a matter of computer science, it is a business risk, and so our approach involves courses germane to computer forensics but also policy-making (coursework) from the school of law and school of business,” said Somnath Bhattacharya, dean and professor of accounting at Miami’s St. Thomas University business school. That institution recently announced the formation of a graduate and undergraduate cybersecurity program that will be in place next year to prepare local students to meet that market demand. “We will also include criminal justice (coursework) to bring in more nebulous areas like cybercriminal profiling that would allow someone graduating with us to have a more holistic view of the issues,” Bhattacharya told the Florida Catholic, newspaper of the Miami Archdiocese. That Catholic university program in Miami joins other cybersecurity academic programming already in place. The College of Arts and Sciences at Sacred Heart University in Fairfield, Connecticut, offers a master of science degree in cybersecurity. Villanova University in Pennsylvania offers a master of science degree in cybersecurity engineering. And St. John’s University in New York offers a cybersecurity systems bachelor of science program, while the University of Detroit Mercy has created the Center for Cyber Security & Intelligence Studies, which it says serves as a multidisciplinary education and research entity focusing on the best practices in the field. The topic of cybersecurity is part of other programming or academic dialogue and study at places like the University of Dallas and California’s Santa Clara University. Overall, it is estimated that there are 183 programs involved with cybersecurity at some level in the country today, according to a 2014 Best Schools for Cybersecurity study by the Ponemon Institute/HP Enterprise Security. At St. Thomas in Miami, a $2 million grant is establishing the Gary Goldbloom Endowed Distinguished Chair in Cybersecurity, named after one of the university’s trustees who is funding the program. It will allow St. Thomas to hire an cybersecurity industry expert. The cybersecurity master’s program will be available by early 2015, and the multidisciplinary degree will include broad contextual coursework — even real-world hacking experience, according to Bhattacharya. To prepare students for the challenges of cybersecurity, they will have to be trained in what Bhattacharya called ethical hacking: learning their way around the craft of hacking as well or better than the criminal world. “Geographically a program of this nature will generate a lot of interest in our community, and we have received some very encouraging interest in this locally from industry and some banks,” he said, adding that Miami is a high density population urban area that retains a lot of its college graduates. There are plenty of recent examples of the urgent need for cybersecurity experts. Over the past year, cyberattacks have compromised financial and personal data maintained by big-name companies such as Target, Home Depot, J.P. Morgan Chase, eBay, Apple, Yahoo!, UPS, P.F. Chang’s and Dairy Queen. In October, U.S federal officials warned companies that hackers have stolen more than 500 million financial records over the past 12 months, causing serious harm to confidence in banking and business worlds. Statistics show the employment hotspots for cybersecurity are Washington, New York and other the West Coast, while Miami ranks in the top 20 for cybersecurity job opportunities according to an analysis from Burning Glass Technologies, which conducts reviews of job postings across 32,000 online job sites. Credit card and identify theft has been a major nuisance for consumers, but new banking and credit card standards going into effect at the start of next year will soon solve those problems, Bhattacharya said. “We are worried about the pilferage of data through hackers coming into data systems, the actual destruction of systems from parties who are out to hurt the country, the company or people: the bulk of our tension over the next five years will be in that later front,” he said. Another source of data breaches is from within: Research shows there has been a great deal of mishandling of data systems by employees either wittingly or by accident. Tracy is a correspondent for the Florida Catholic, newspaper of the Miami Archdiocese.